What is Festival of Yoga? Festival of Yoga San Diego returns for the third year to celebrate the United Nations International Day of Yoga. This free, all-ages event will be held on Sunday, June 24, 2018 from 8am to 3pm at Waterfront Park in Downtown San Diego. 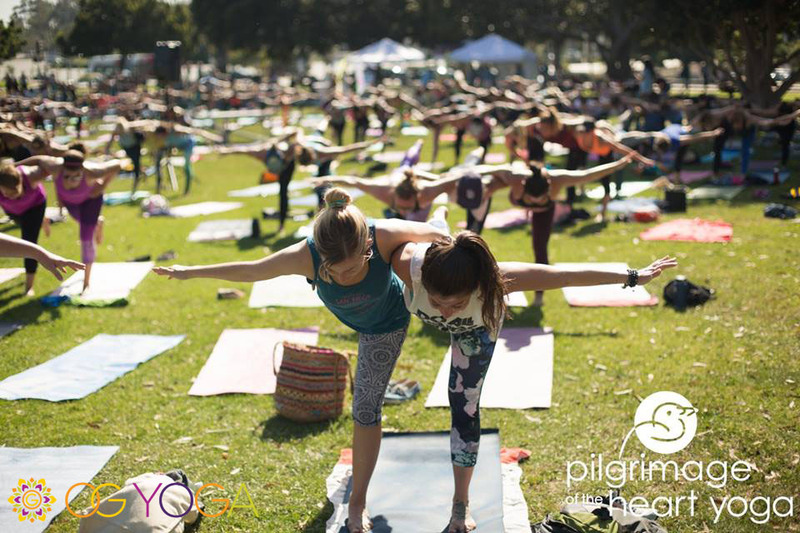 The event’s host, Pilgrimage of the Heart Yoga, has named San Diego nonprofit OG Yoga as the beneficiary of the festival. Why Sponsor Festival of Yoga? Reach a Large, Engaged Audience: This year, Festival of Yoga is expected to attract over 1,000 attendees. Community Involvement: Festival of Yoga brings together a large community of San Diego locals. Your participation in the festival helps keep your brand top of mind with local customers. Increase Your Online Reach: Each of the sponsorship opportunities below includes online promotion of your business through social media. Your Tax Deductible Sponsorship Supports OG Yoga: Your sponsorship not only provides an opportunity to build brand awareness for your business, it also allows you to make a tax deductible donation to a great cause. OG Yoga is a San Diego nonprofit whose mission is to deliver trauma-informed mindfulness-based yoga through partnerships with nonprofit organizations serving marginalized individuals to support healing, resilience, self-development and positive social change. Additions/changes can be made to best suit your marketing needs and goals. Interested in Sponsoring Festival of Yoga? This year, in an effort in increase impact and reach, OG Yoga has joined forces with Pilgrimage Yoga as a partner, beneficiary, and sponsor of the Festival of Yoga event. With this partnership, you can make your sponsorship contributions directly to OG Yoga If you desire a nonprofit organization to be the recipient of your sponsorship. Your contribution to OG Yoga, a fiscally sponsored project of Mission Edge (EIN: 27-2938491) will be tax-deductible, according to IRS standards, to the fullest extent allowed by law. Please consult your individual tax advisor to determine how much of your contribution is deductible. If you're interested in sponsorship, please fill out the form below.